Recent debates of basic income (BI) proposals shine a useful spotlight on the challenges that traditional forms of income support are increasingly facing, and highlight gaps in social provisions that largely depend on income or employment status. A universal “no questions asked” public transfer would be simple and have the advantage that no-one would be left without support. But an unconditional payment to everyone at meaningful but fiscally realistic levels would likely require tax rises as well as reductions in existing benefits. 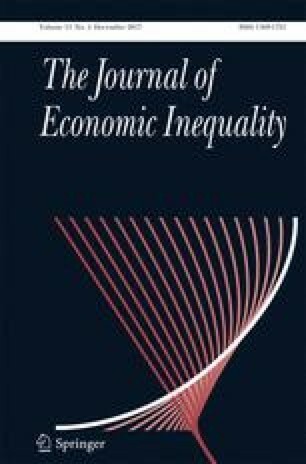 We develop a comprehensive BI scenario that facilitates an assessment of the resulting fiscal and distributional effects in a comparative context, undertake a microsimulation study to quantify them, and propose a simple decomposition to identify the mechanisms that drive effects in different country contexts. Results illustrate the challenges, but also the strengths, of existing social protection systems. A BI would fix benefit coverage gaps that exist in many countries, but would require very substantial tax rises if it were to be set at a meaningful level. As support would not be targeted on those most in need, it would not be a cost-effective way of directly reducing income poverty. The opinions expressed and arguments employed herein are solely those of the authors and do not necessarily reflect the official views of the OECD or of its member countries. This paper makes use of EUROMOD, which is maintained, developed and managed by the Institute for Social and Economic Research (ISER) at the University of Essex, in collaboration with national teams from the EU member states. We are indebted to the many people who have contributed to the development of EUROMOD. The process of extending and updating EUROMOD is financially supported by the European Union Programme for Employment and Social Innovation “Easi” (2014–2020). Data sources for EUROMOD results reported in this note are as follows. Finland: microdata from the EU Statistics on Incomes and Living Conditions (EU-SILC) made available by Eurostat (59/2013-EU-SILCLFS); France and Italy: national EU-SILC PDB data made available by respective national statistical offices; United Kingdom: Family Resources Survey data made available by the Department of Work and Pensions via the UK Data Archive. None of the individuals or organisations mentioned in this acknowledgement are responsible for the analysis or interpretation of the data reported here.